Let’s not pretend like you, me and everyone we know can’t sing the theme song from The Fresh Prince of Bel-Air from start to finish with little prompting. And one of the consistent highlights of the popular ‘90s sitcom was the dry, zinger-lobbing butler Geoffrey, played by stage and screen vet Joseph Marcell. And while Geoffrey cemented his place in pop culture, Marcell’s sweet spot is actually more William Shakespeare than Will Smith. The classically trained actor has performed dozens of productions with Shakespeare’s Globe and the Royal Shakespeare Company, and now Marcell is touring the states in the Globe’s eight-man King Lear. The production runs at the beautiful NYU Skirball Center for the Performing Arts through October 12. Below, we chat with the Fresh Prince alum about his five favorite servants and maids from the complete works of Shakespeare. We’ll start with the boy Lucius from Julius Caesar, who is Brutus’ servant. He is woken up in the middle of the night by Brutus and he somehow manages to do his job; and just before Brutus dies in the play, he says, ‘if this comes out well, I shall be good to thee.” And that’s quite something for a Roman patrician to say to his servant. Secondly is the messenger from Titus Andronicus who brings on the heads of Titus’ sons to Titus and tells Andronicus how the Emperor Saturninus has done the dirty on him. It’s quite a moving scene; it’s a very, very short entrance but it makes an impact because he brings on these boys’ heads in a basket. Thirdly is the second serving man in Coriolanus, which is very, very funny. Coriolanus goes to the city of the Volsci, and he enters the kitchens and there’s a feast going on. All the powerful Volscians are in there, and he meets this serving man and they have this wonderfully funny scene; and in a most dramatic play like Coriolanus, to have this hugely comedic scene of non-recognition and misunderstanding is just really funny. Now these are my two favorite of all; it’s the two servants Launce and Speed from the play Two Gentlemen of Verona. Launce is much older and has a dog and Speed is younger, and they have these wonderful meetings when their masters go to Venice every two years. And most of the comedy comes from Launce’s dog and the way Speed reacts to the dog. It’s just fun. 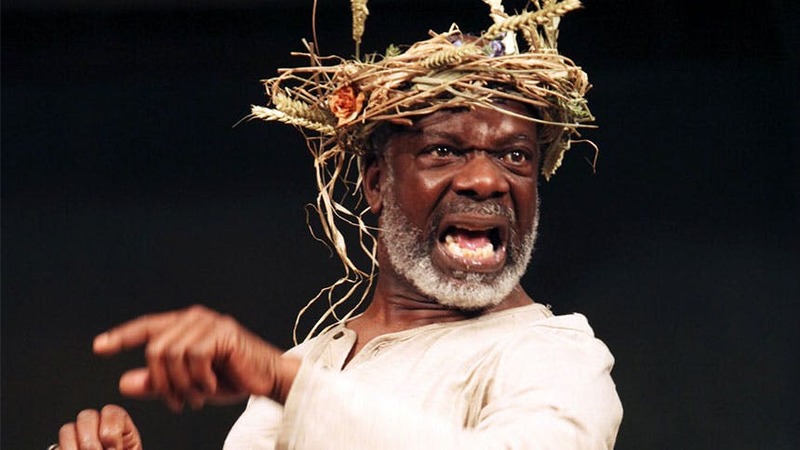 Don’t miss your chance to see Joseph Marcell play 'King Lear' at NYU Skirball Center through October 12.